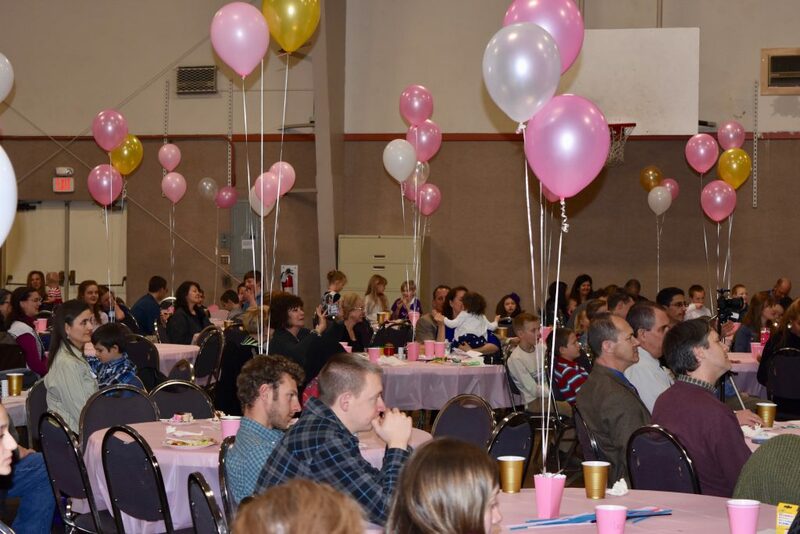 It is not every day a little girl celebrates her 5th birthday with 230 of her closest friends! 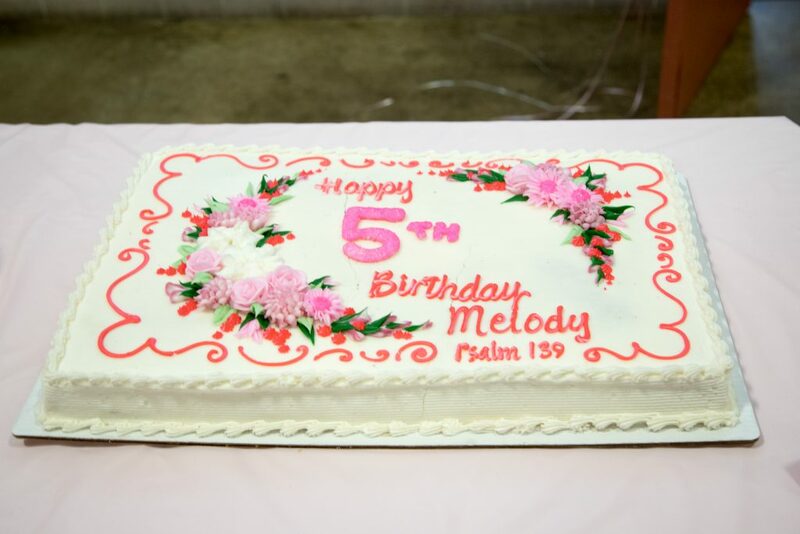 We celebrated Melody’s 5th and had an exceptionally sweet celebration. We are ever so grateful for the many people who value her life. 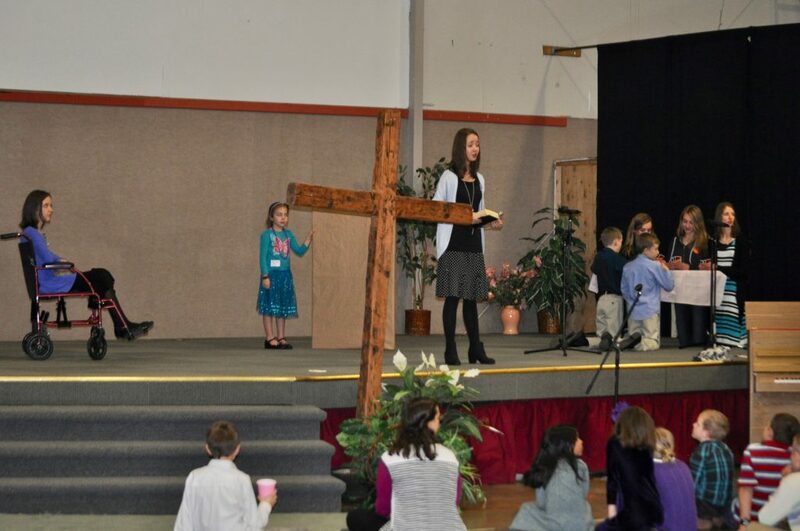 Our wonderful friends from church helped us prepare for this grand event. The day before the party a car pulled up in front of our house. 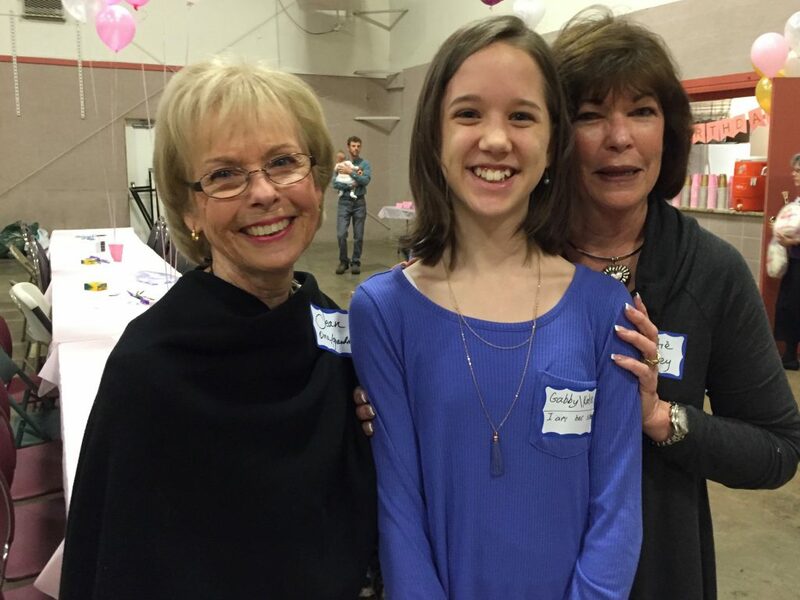 It was none other than Melody’s grandma and great-aunt from California! They surprised us by joining us for this significant milestone. They, along with many other people from church, started early in the morning to help prepare the gym before the church service. 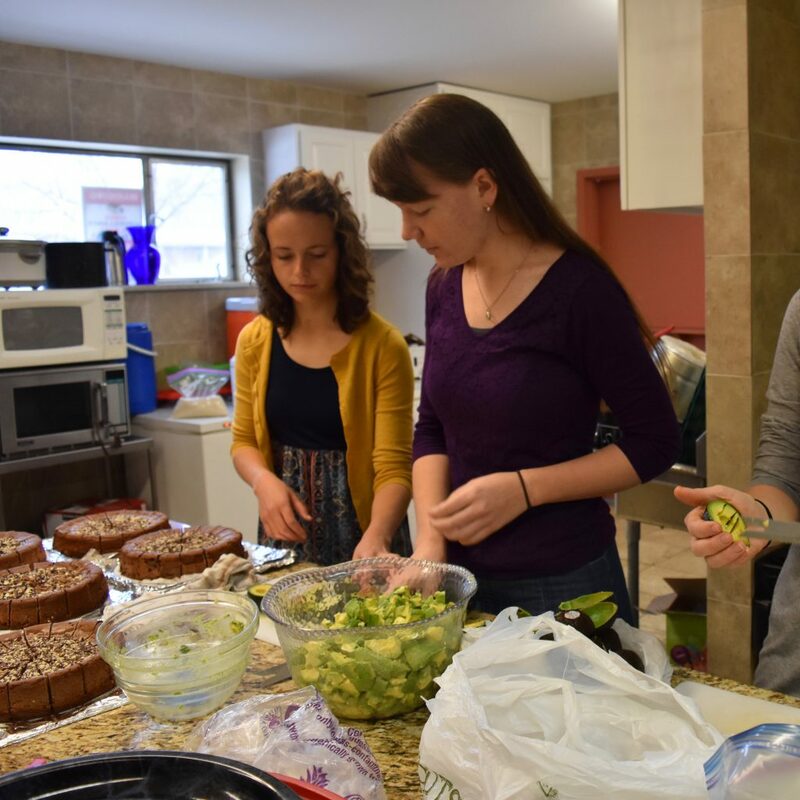 With much help from our friends from church we had an enormous amount of wonderful food. 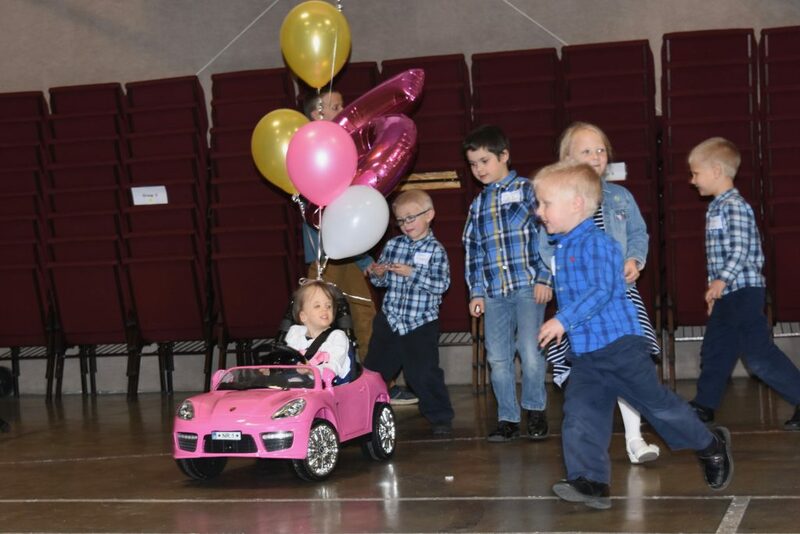 After the meal Miss Melody showed off her new set of wheels. 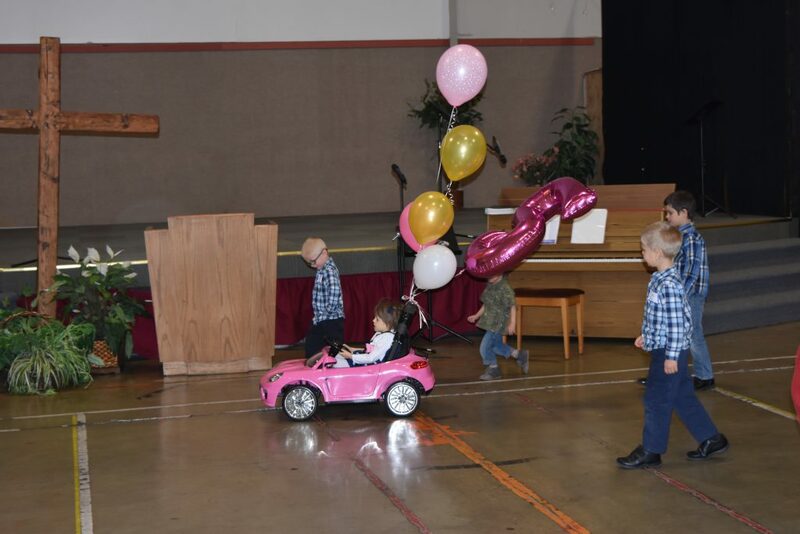 When our pastor announced that it was time to sing to the birthday girl she made her grand entrance in her pink Porsche (see video above), contributed to by several relatives, and adapted by her dad. 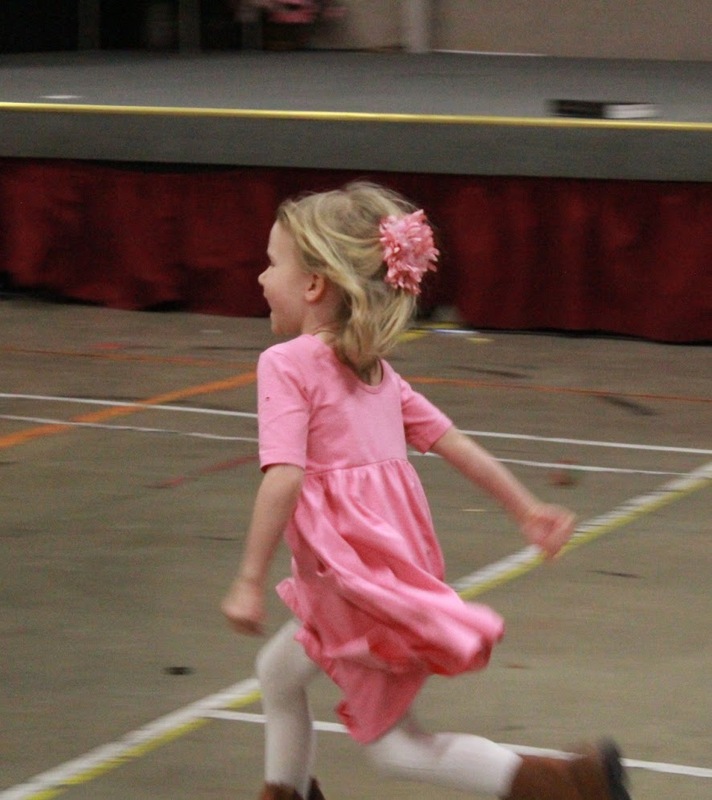 For the first time in her life children were running to keep up with her. I think she rather enjoyed it. Her body guards made sure she was safe at every turn. Her little buddy Jonah wanted to make sure to wish her a happy birthday. 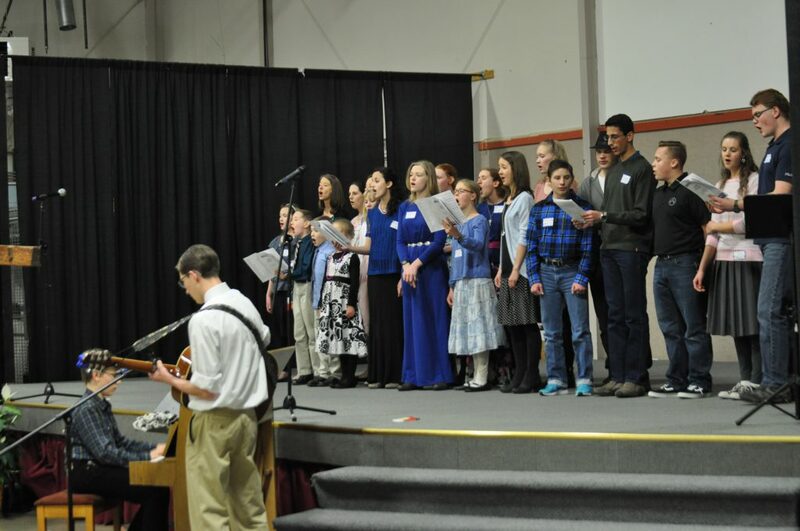 The church youth choir sang 10,000 Reasons and did a beautiful job with it. Her dad and I shared a little about Melody’s life with much gratitude for our amazing community of friends and family who have come along side us on this journey. 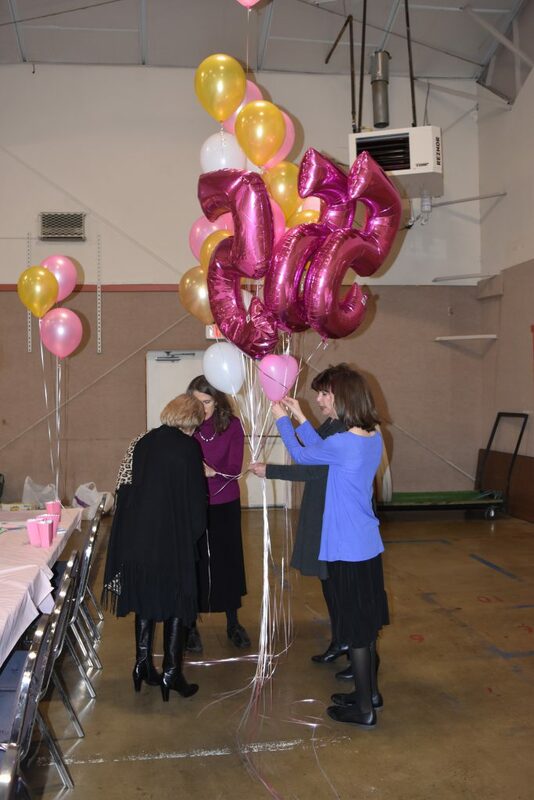 What a privilege and honor it was to have Sandra Coulson attend Melody’s party! She is a speech therapist who has a system for helping people with sleep apnea and countless other things. She has completely changed Melody’s life by transforming her breathing in a remarkable way. 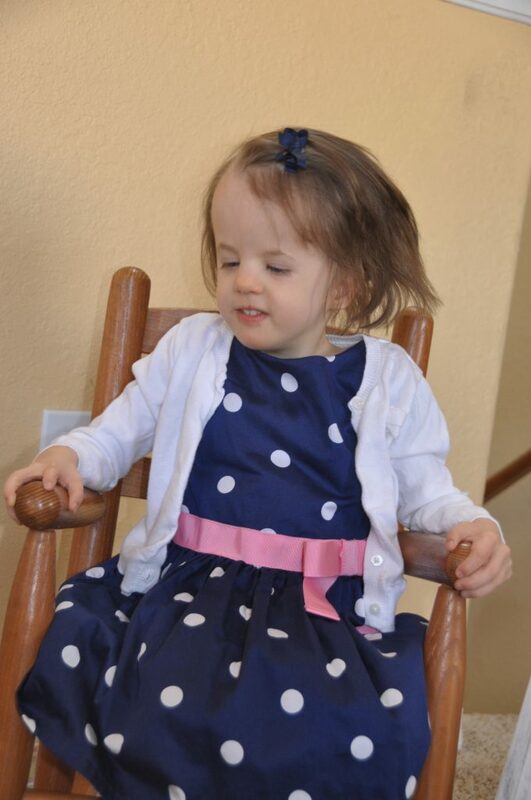 When Melody was about 18 months old she had a sleep study done. The results: 100 apnea episodes in an hour; ten is considered severe. Her oxygen levels while sleeping would dip dangerously low. Within one week of seeing Sandra all that started to change. Her oxygen levels now while sleeping are in the mid-90’s, and she has no visible signs of apnea. We have no words to adequately express our gratitude for Sandra. There are many children who appreciate Melody’s life. These boys are admiring how much Melody has grown. She is still little, but has definitely come a long way from her tiny 4 lb., 14 oz. start when she was born. 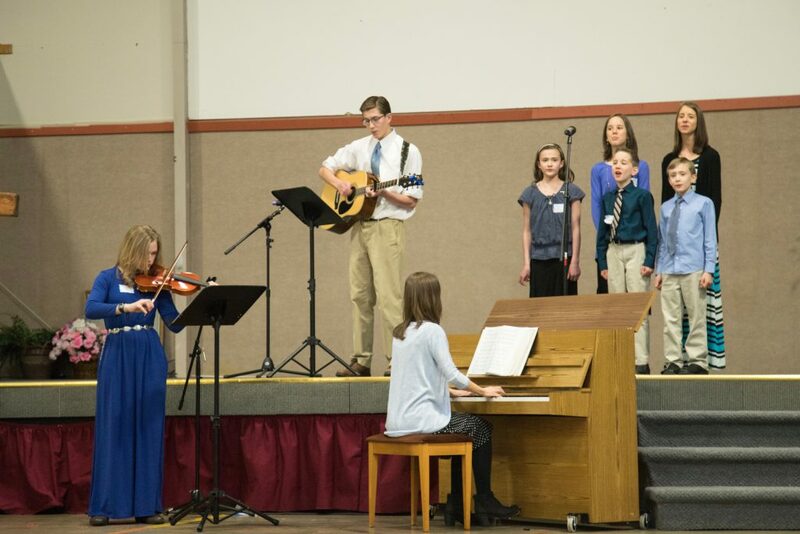 Our children along with the Powers family sang “I Stand in Awe of You”. We do stand in awe of God and all He has done, not just in the victories, but also in the difficult times. They also sang “In My Heart There Rings a Melody” – Melody’s little theme song. 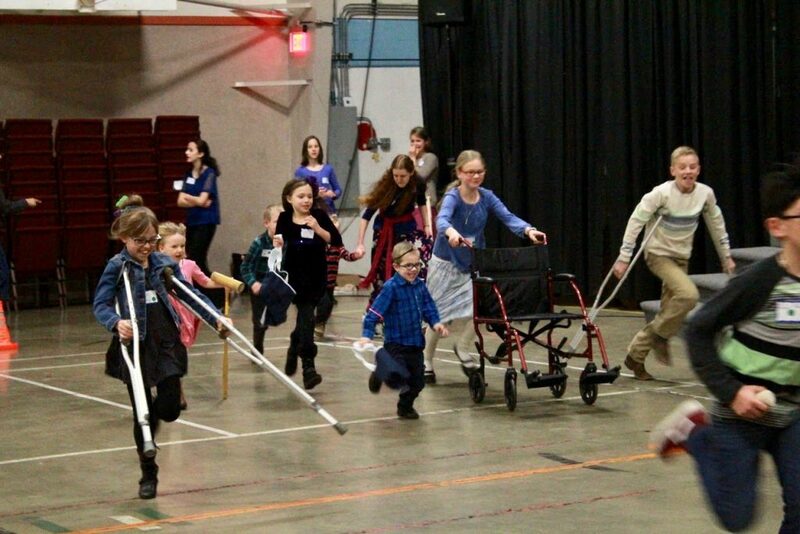 Our children, along with two other families, did a skit to help teach the children about being sensitive to those in a wheelchair. It was so cute! After the skit we had a “disability race”. The children had a great time as we continued with the theme of encouraging them to reach out and demonstrate love to those with disabilities. 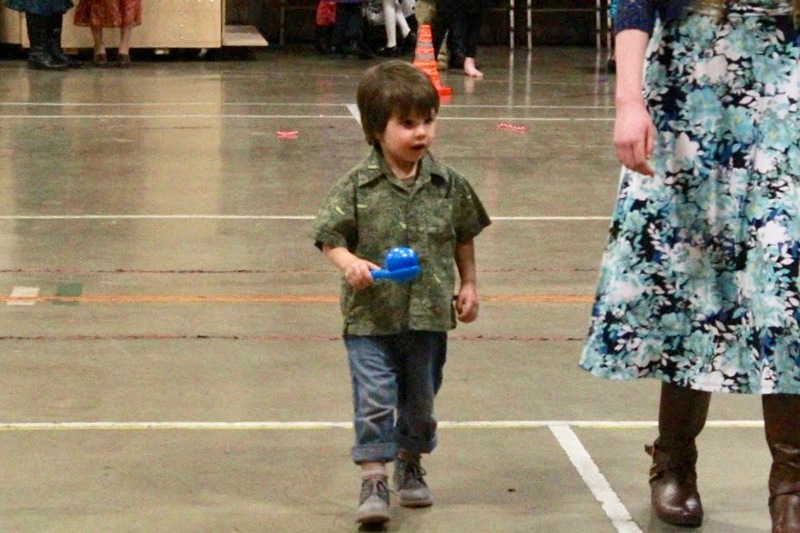 The children also played egg and spoon races. This little guy was playing it safe by not going too fast. Our little friend Enid is no stranger to the disability world. Her sweet little brother Charlie had Down syndrome. Due to a medical complication at the beginning of his life he went to be with the Lord close to a year ago at 18 months of age. What a blessing to have her precious family join us in celebrating Melody’s big day! When Melody was born she was sent home on hospice. Her amazing hospice chaplain Paul blessed us by coming to Melody’s party. When Melody came home from the hospital on about day 20 of life, the hospice nurse arrived shortly thereafter. The reason for the rush, unbeknownst to us, was that there was concern on the part of her medical team that our fragile little girl would not even survive the drive home in her special little car bed (too weak for a car seat). She has come a long way from those days! Here our friend Hannah is helping with the games. She organized the “disability” game, and she did countless other things to help prepare for this party. 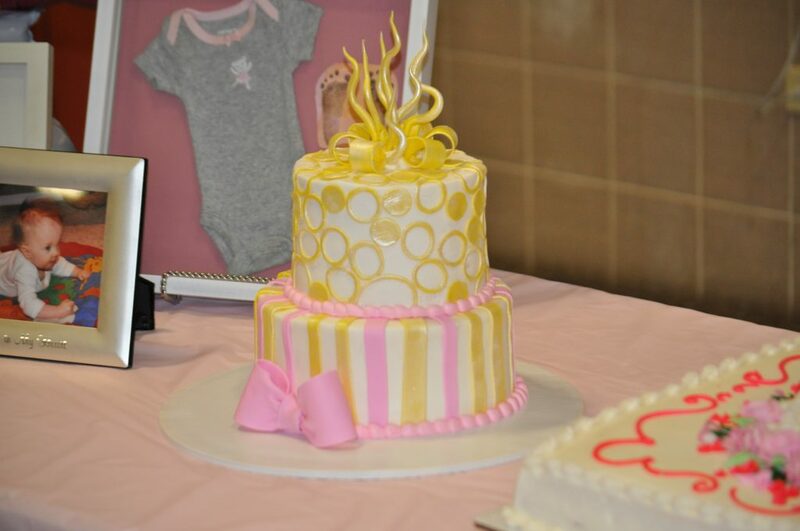 Her mom Jamie organized Melody’s first birthday party. Sadly, Jamie finished her race here on earth. I was not sure how we could ever pull off a party like this without Jamie. 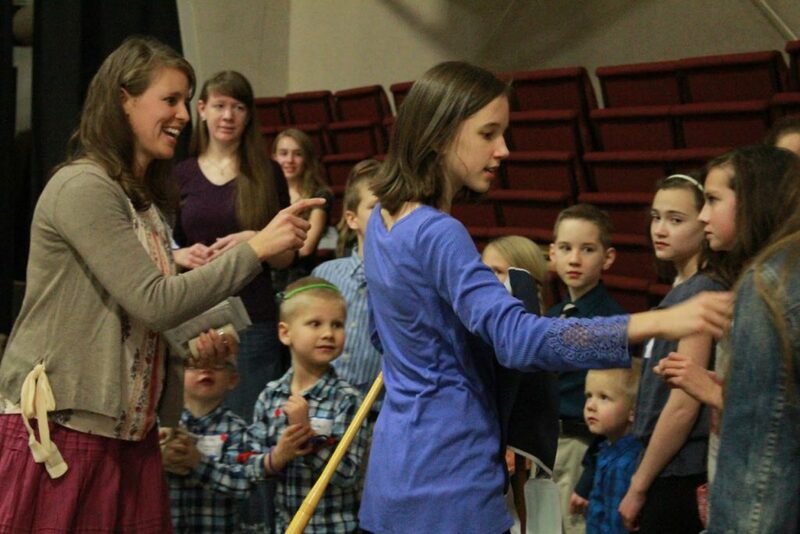 When her daughter Hannah offered to help I knew we were in good hands – she is just as amazing as her mom! 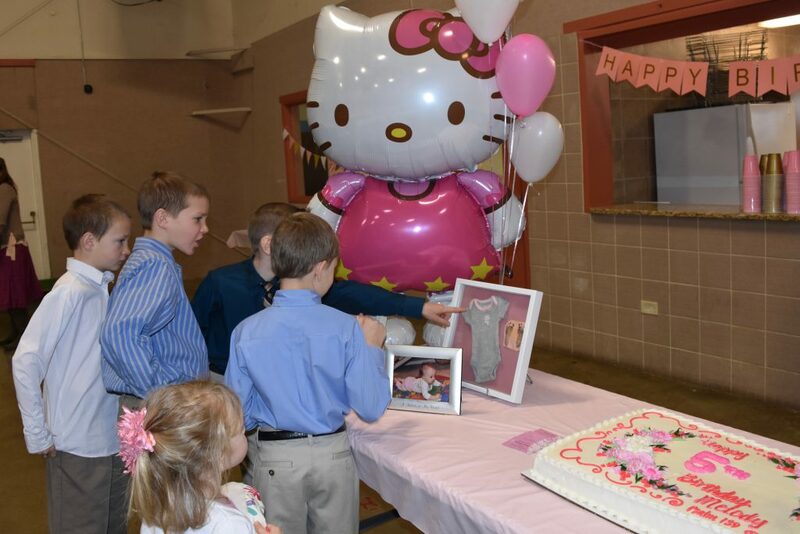 The birthday girl really enjoyed her party. Thanks to the help of her occupational therapist Dana the noise did not bother her like it would have in the past. She was a happy girl for her many fans. 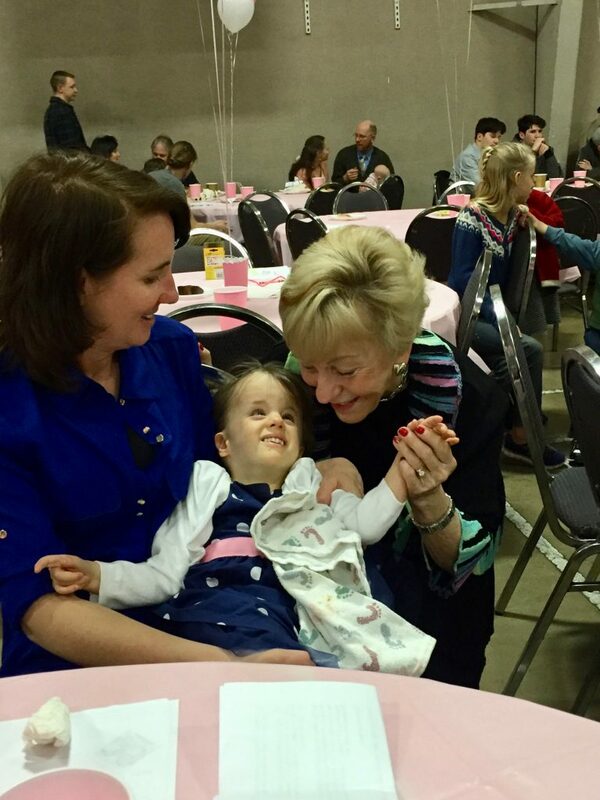 Melody is making incredible progress with her OT and her remarkable speech therapist Kay. Stay tuned for a future update giving more detail on Melody’s many advances. To see the full version of I Stand In Awe of You go here. To see the full version of In My Heart go here. To see the full sensitivity skit go here. 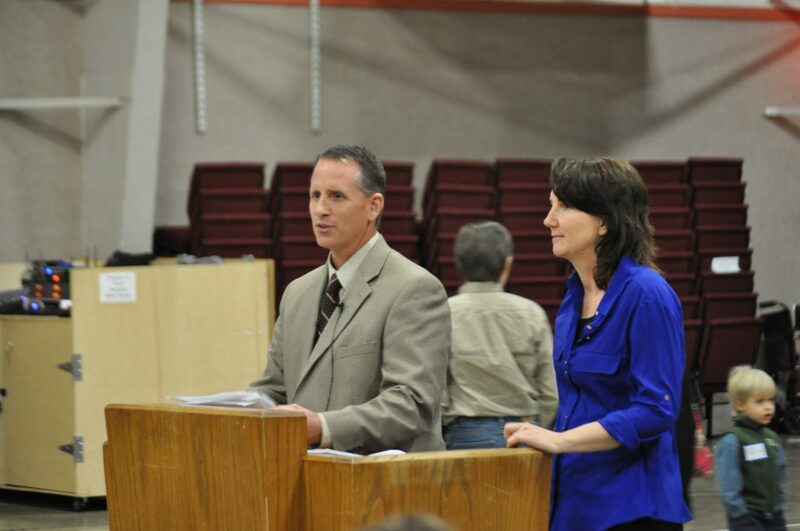 What a blessing she has been to so many. God has used her in a wonderful way to point to His grace and mercy. 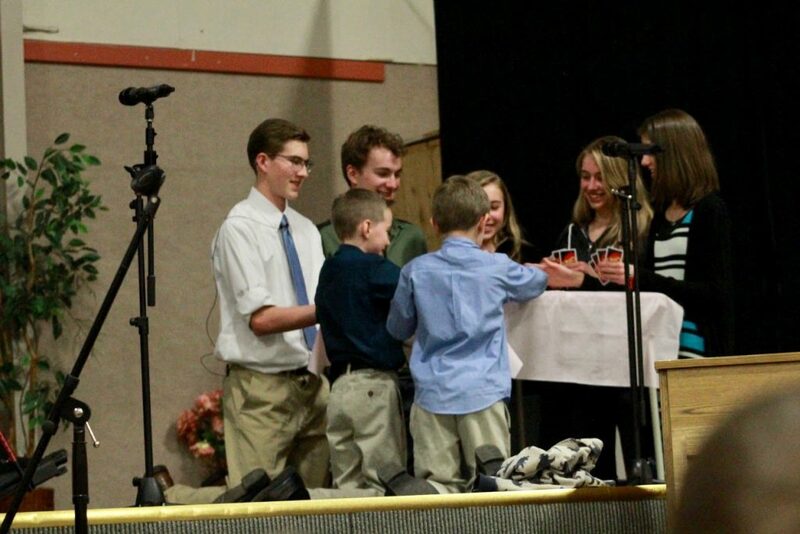 Her family has touched so many lives as well. Thank you Lord, for Melody and family. Happy Birthday, Sweet Melody. 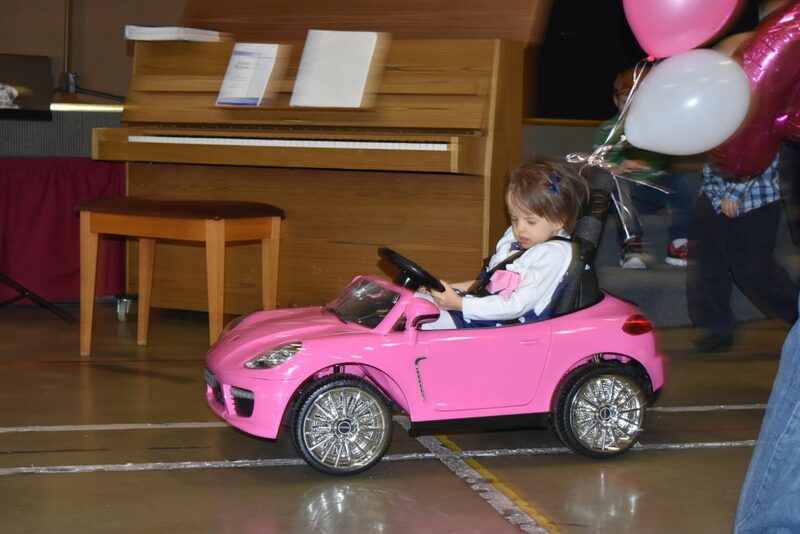 You look sooo cute driving your new PINK car. You never quit to amaze all who know you. Thank you for sharing the video and your day. Your smile lights up the world. There is no cuter or more special convertible driver than MELODY!! are so warm and share God’s love with Melody and with everyone. I thank you for including me in her 5th celebration of life. It is such a pleasure to watch her grow. 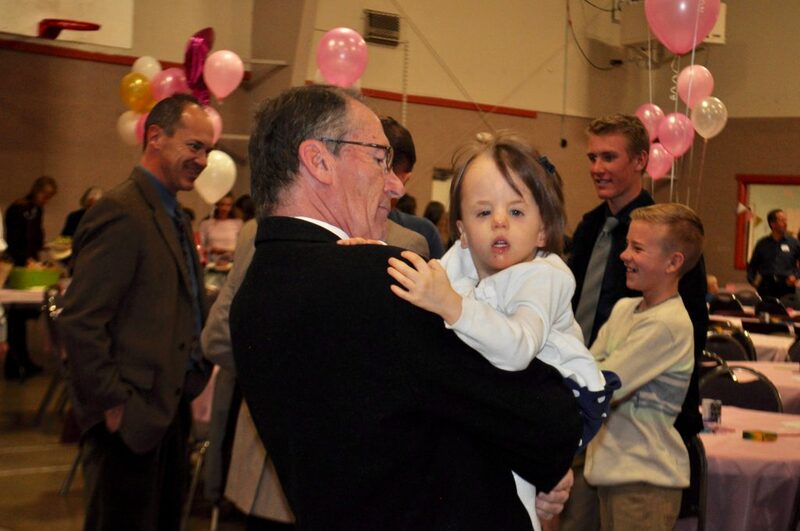 Dear Thenhaus Family – What a thrill it is to see Melody in these beautiful pictures, and to see you all together, celebrating the miracle of her life. I have goosebumps whenever I think of her, and I think of her often. Thank you so much for sharing this momentous event in her life and in yours. I am privileged to know all of you and feel most blessed to be part of Melody’s large fan club. It is a true privilege to have been a part of this little girl’s life. Melody is a trophy for the Lord and a demonstration that God doesn’t make mistakes. In our weakness He is made strong. My heart is filled with praise to Him for what He has done and with love for this dear family. Watching your family (all WAAAAAY too grown up) was great fun. And watching everyone giving glory to God for this amazing gift of life. Thank you soo much for making and posting the video. Your Melody is truly a blessing to all….. I feel honored to be among your friends. What a beautiful day you all had! We’re so sorry we couldn’t attend. 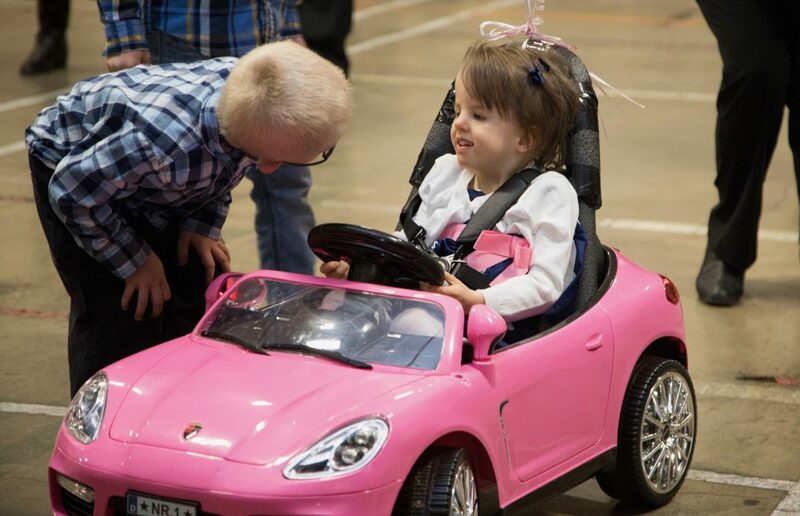 Melody looks so happy, love her pink ride! God bless. What a privilege it has been to be a part of your life these past 5 years. We are humbled beyond measure that God has allowed us to be a part of your incredible story and journey and to share in the Blessing only He can bestow. 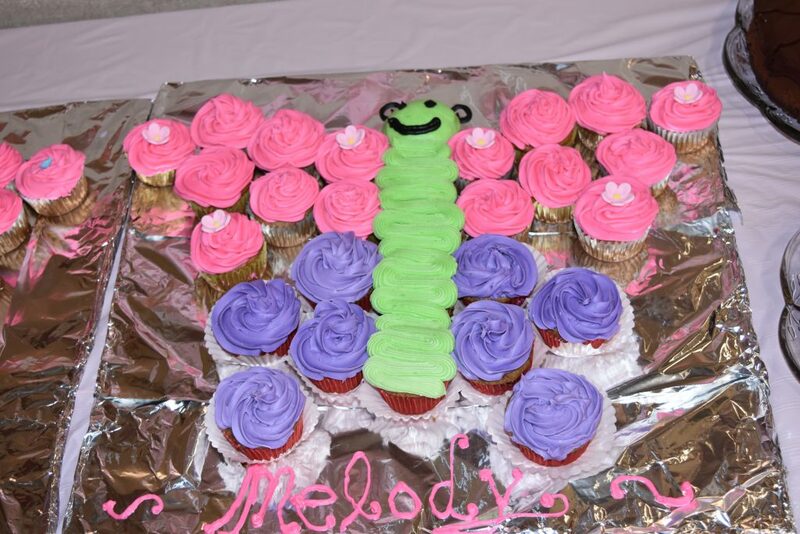 To be a part of your 5th Birthday celebration, dear Melody, was very special and a memory I will cherish forever. Keep on “driving” through life, special one, knowing that our precious God will guide and direct you every step of the way. With Love Overflowing for each of you . . . .
What a grand celebration of God’s miraculous power and wisdom. Sorry we couldn’t make it, but we shared it with her vicariously. She certainly came with a beautiful deposit for this world. We, along with you, treasure every precious moment she is among us. She teaches me so much every time I see her! What a blessing she is! 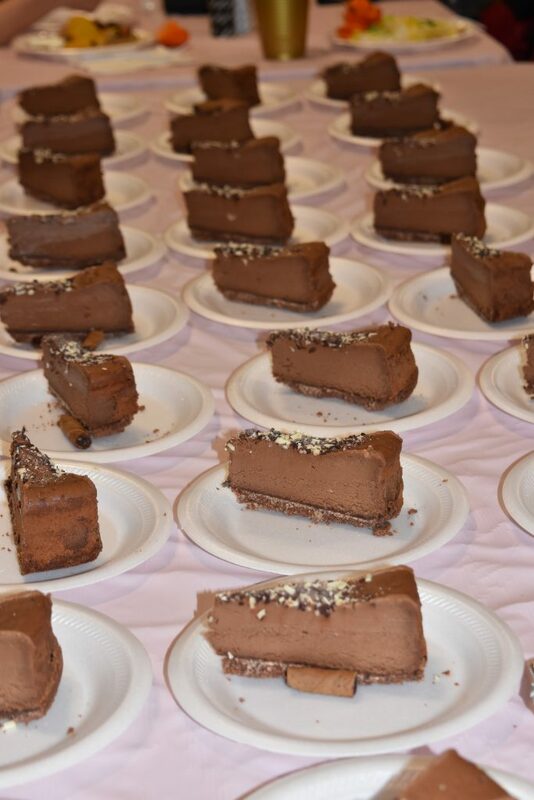 Although I was unable to attend this fabulous event, the video and photos with captions made me feel like I was there! Thank you for creating and sharing. 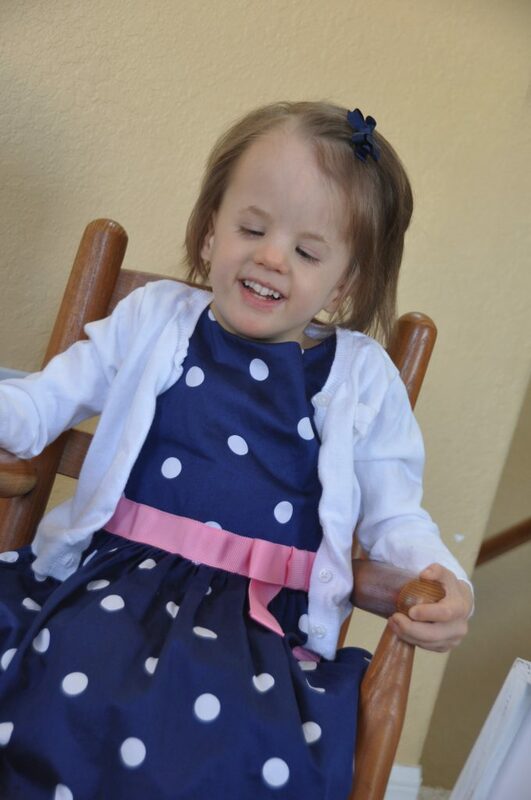 To Melody, you are a beautiful, smiling angel and such a precious addition to the world! Keep on growing, learning and driving. 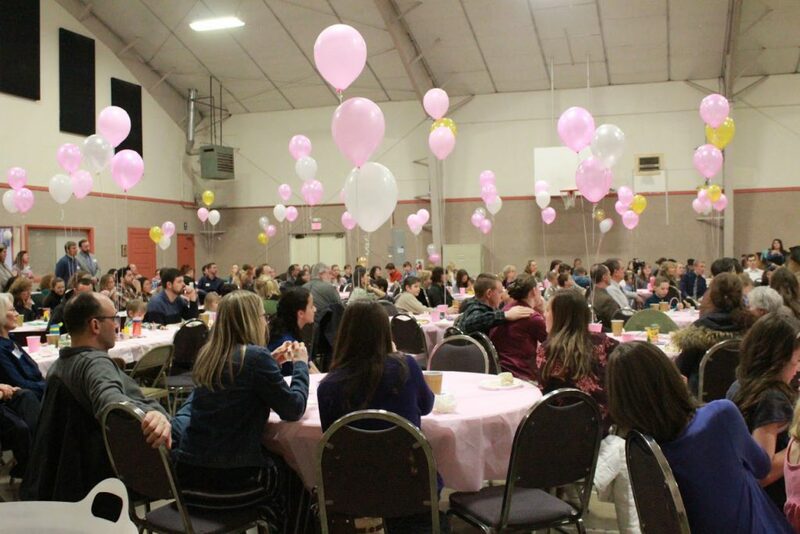 WOW–you had the biggest Birthday Party ever. 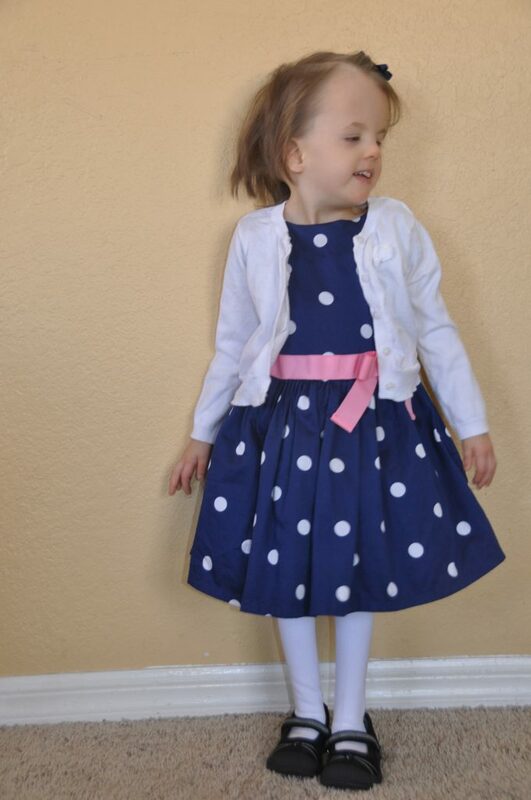 You looked darling in your new polka-dot dress. And you drive your new car so well. Many more Blessings to you and your precious family. We love you. 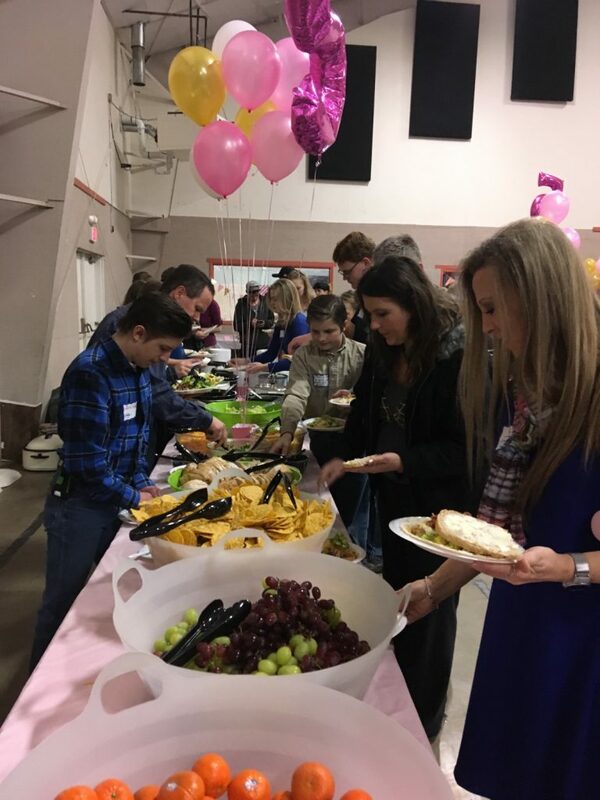 This party was so incredible to watch…from Melody’s entrance in her new pink Porsche, to the games, the wonderful singing, the great looking food, and the dear sensitive skit!…And the 250 people that were there!…INCREDIBLE! I am just so sad I couldn’t be there! God is an awesome God and your are proof of that, Melody. Happy 6th birthday and I would like a piece of that chocolate truffle fudge cake, please, if you have it again!